Last December 12, the winning tickets of the Gifts Galore raffle were drawn at the ASC Christmas luncheon at 74 Main/the Millstone Restaurant in New London. There were six beautiful baskets and two gift certificates. Winners were Nancy Tripp of Andover, Kim Chandlers of Franklin, Pat Fleury of Wilmot Flat, Megan Miller of Salisbury, Dan Nelson of Andover, Helen Wickham of Andover, Jeanne Tate of New London, and Mark Davis of Cape Cod, Massachusetts. The ASC is grateful to the many local businesses who donated gifts and gift certificates for the raffle baskets. 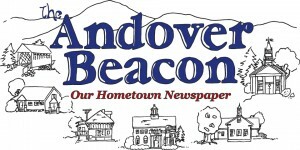 They include: J and J of Andover, Pizza Chef, Bar Harbor Bank, Belletette’s, Lis Ann’s of New London, Tucker’s of New London, Hannaford, Flying Goose Restaurant, Crossroad Country Store of Salisbury, the Barn Store of Salisbury, May Garden Restaurant of Franklin, Grevior Furniture of Franklin, and Danbury General Store. These generous businesses would appreciate support from the public to show our gratitude for their kindness. The ASC also thanks the members who donated their crafts and other gifts for the raffle. Most of all, kudos to the chairlady, Sandy Miller, and her helpers who went above and beyond the call to make this fundraiser another great success. You are awesome!